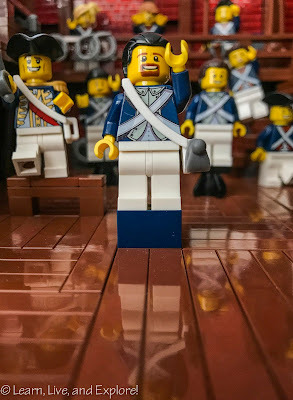 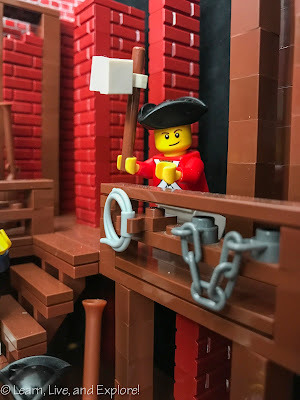 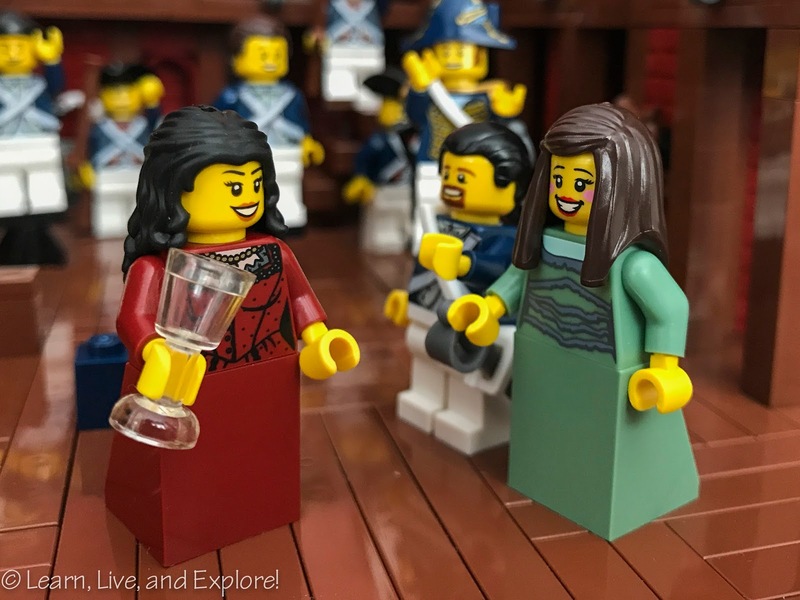 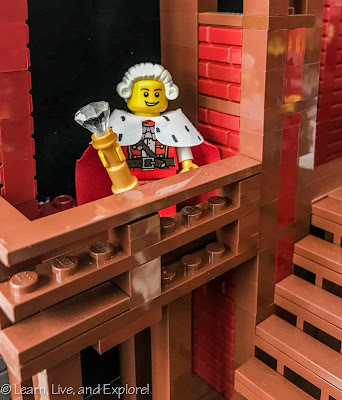 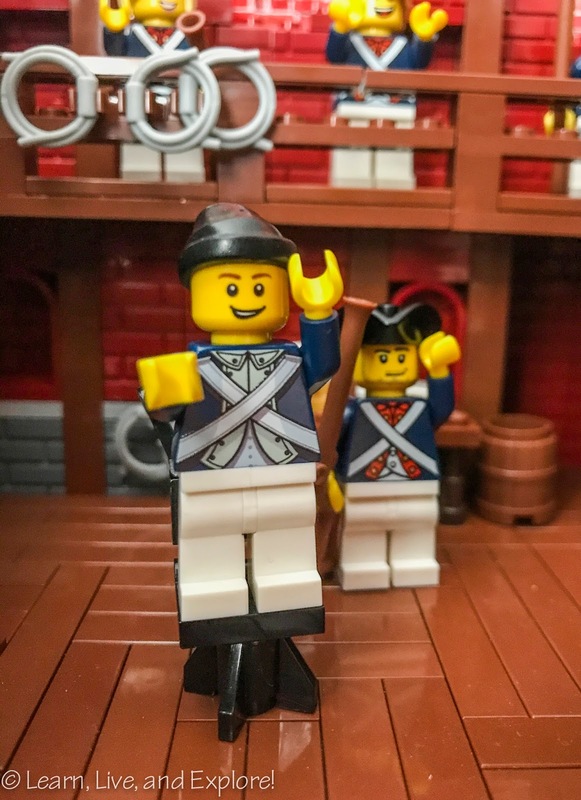 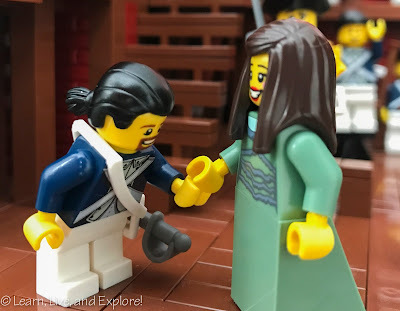 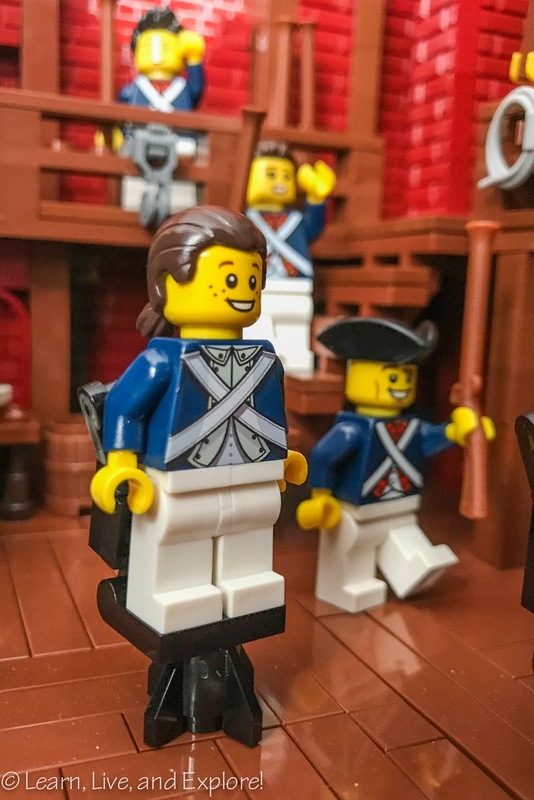 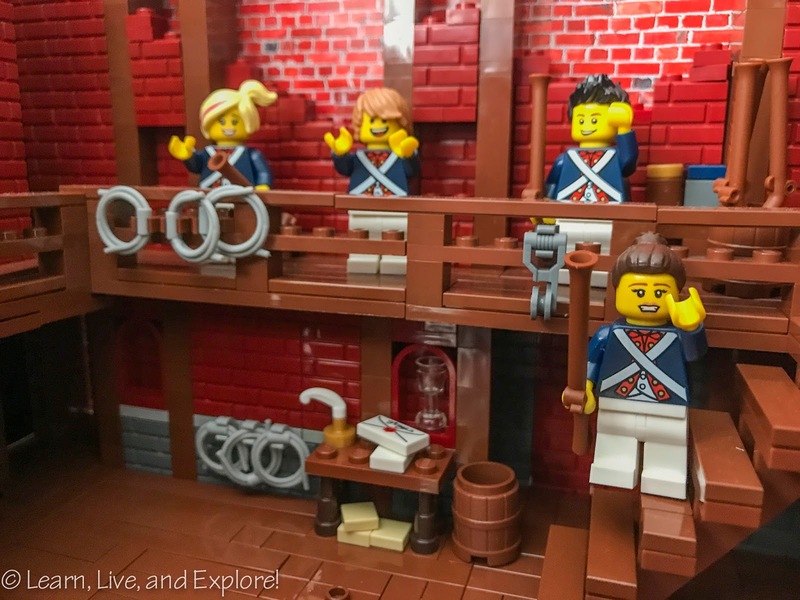 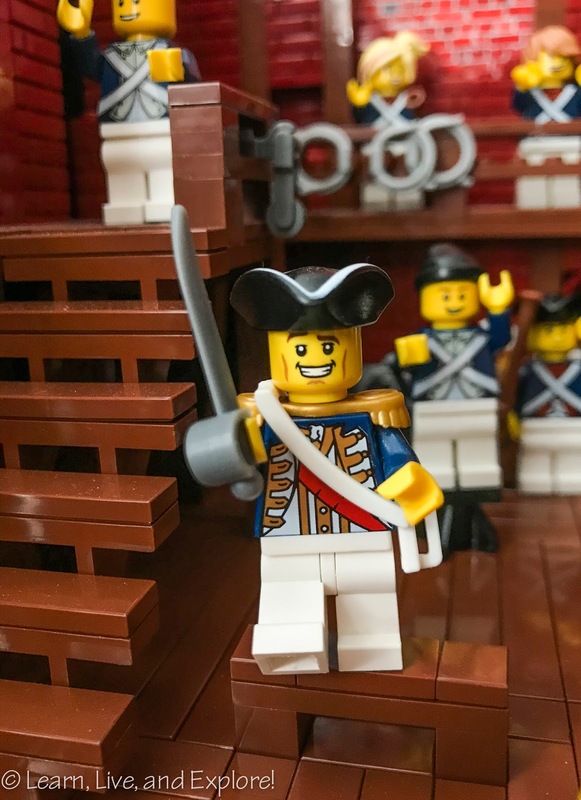 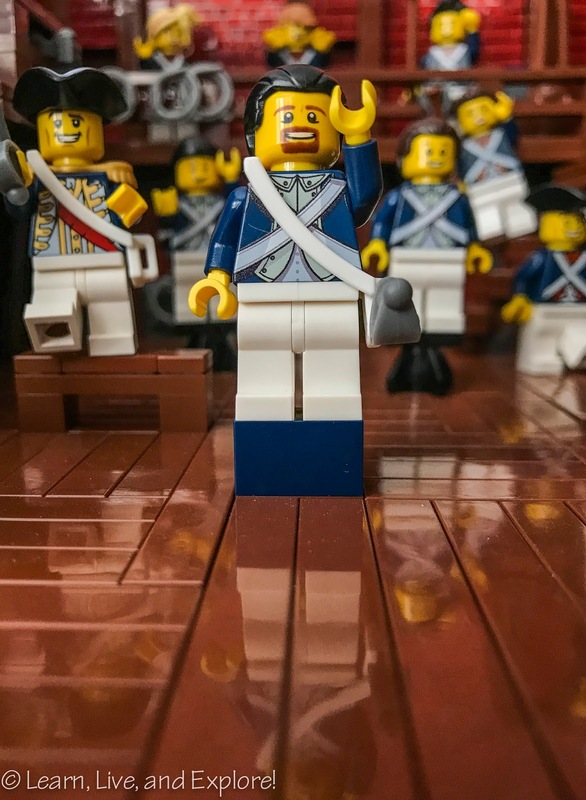 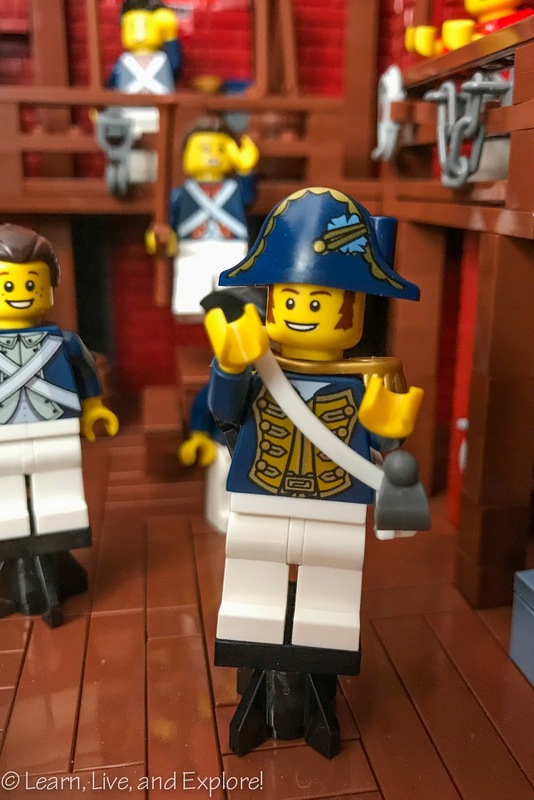 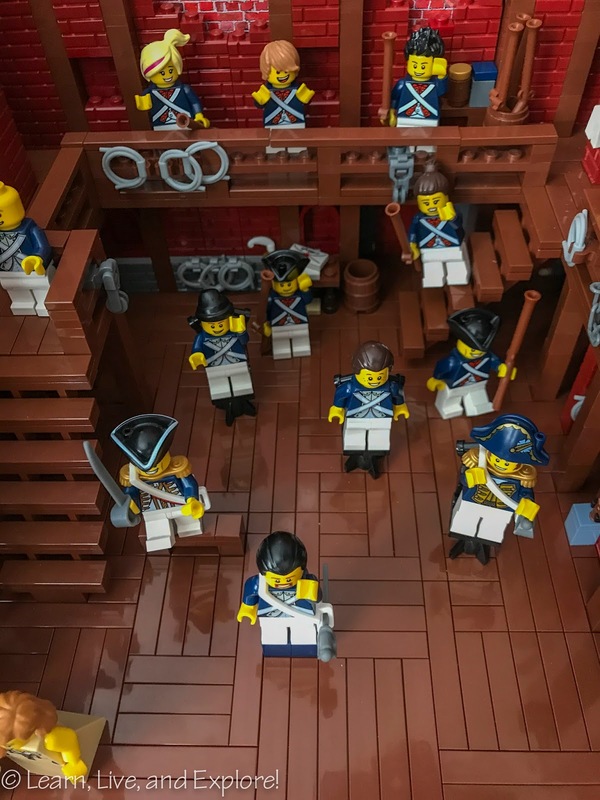 Hamilton....in Legos! 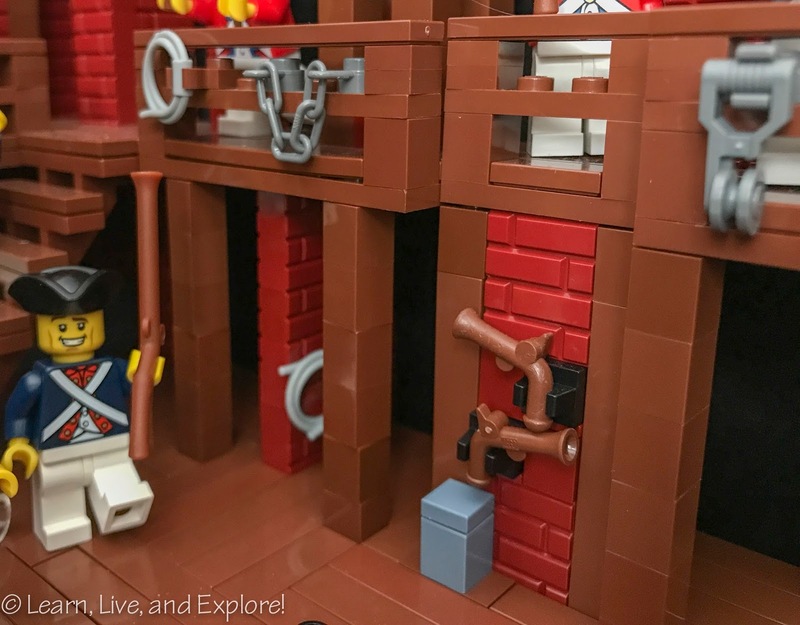 ~ Learn, Live, and Explore! "The world turned upside down!" 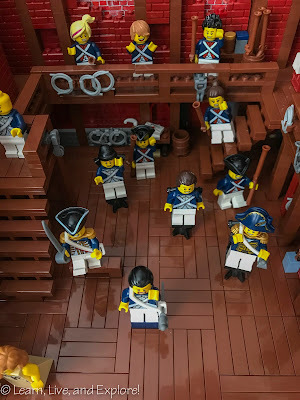 Today is opening of the Hamilton Los Angeles run, and while I didn't get tickets through the Prizeo sweepstakes to hang out with Lin Manuel Miranda, I finally put the finishing touches on my Lego mock up of the Hamilton stage set. 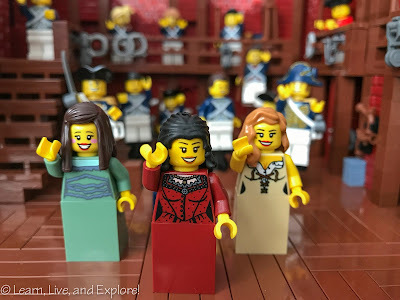 The timing is also great because I'm going this week to see the show for my 6th time! Of course, I couldn't leave King George III and the Schuyler sisters out of the scene, even though technically they are not in it - Work! Though I couldn't feasibly add all the set details, I tried to hit the major ones, like the dueling pistols. I'm actually really excited about the writing desk, complete with a quill and ink, letters, and the sandbags that are under the table in the set. "Why do you write like you're running out of time!" 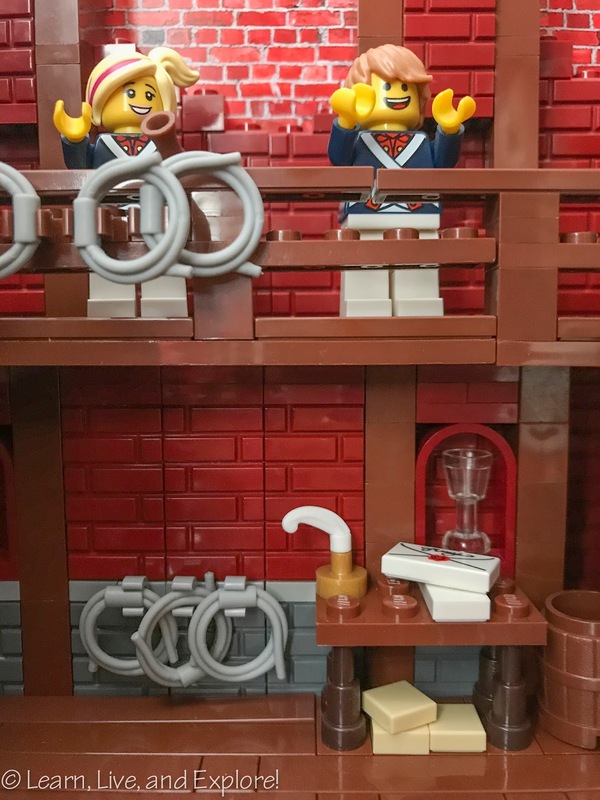 I couldn't add the turntable feature because it is way outside my Lego engineering skills, but I embraced the perpendicular wood plank look of the stage floor. 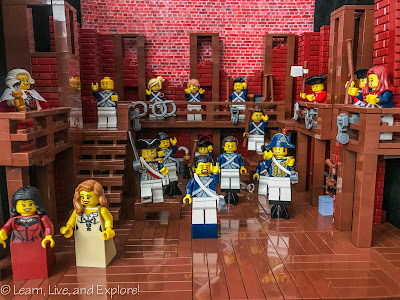 And for your reference, here's the Tony Awards performance of "Yorktown" by the cast of Hamilton. Enjoy!